I work really well at the last minute. I rarely think ahead and I am usually of the mindset to use what you have rather than buy new. Halloween is just around the corner and maybe your kids have told you what they want to be and you have been sewing and crafting your little heart out to create it. Or maybe you are like me and you assume that they will figure something out. I'm hoping I released you of a little parenting guilt when I wrote 5 things you DON'T have to do this fall. Regardless, Halloween is creeping up on us and your kids are needing something to dress up in so they can to door to door to collect free candy that you can sneak after they are in bed. I've got a collection of last minute Halloween costumes you can throw together. Heck, it may just make you look like you planned ahead when you really didn't. I promise I won't tell! 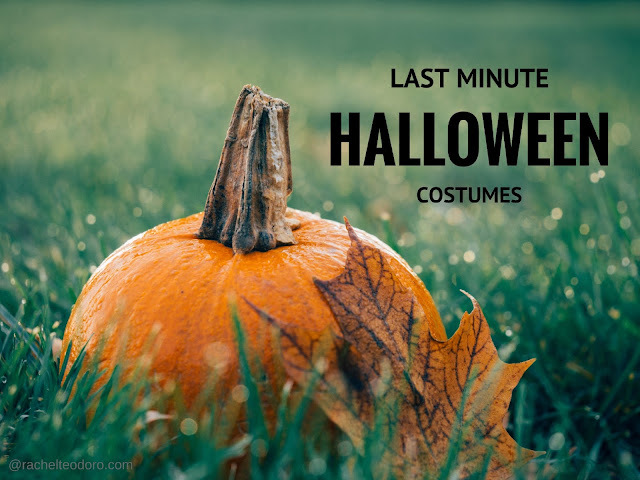 You are sure to find something to wear in this collection of last minute Halloween costumes. There are hundreds of costumes provided in the following links. You just need to be inspired! Take a peek. Did you find something? I'm hoping you found some inspiration. You've still got a few days to pull it all together. Plenty of time!